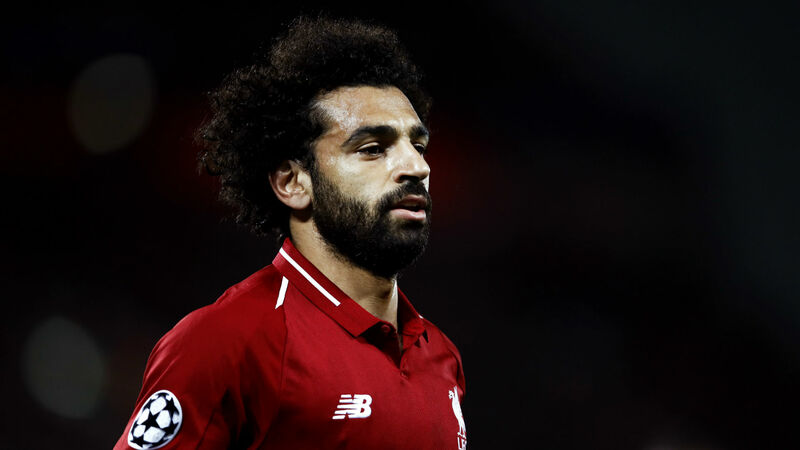 Mohamed Salah may struggle to net 40 goals again for Liverpool but to suggest that he is a one-season wonder is “ridiculous”, says John Barnes. The Egypt international enjoyed a stunning debut campaign at Anfield in 2017-18, with his contribution to the Reds’ cause earning him the PFA Player of the Year prize and a nomination for the FIFA Best Award. Replicating those efforts was always going to be difficult and the 26-year-old has made a supposedly slower start to the current campaign than he did the last. He has, however, found the target three times and continues to be an important presence in a Liverpool side which places greater emphasis on collective quality than individual brilliance. With that in mind, club legend Barnes has told the Daily Star on the talk of Salah’s standards slipping: “Salah’s been fine. “I mean he hasn’t obviously scored as many goals as he did last year, but I never expected him to. “Because I don’t think Salah is regularly going to be scoring 40 goals a season as easy as he did last year. “But if he can be part of a team who has won seven games in a row, as much as he hasn’t scored all the goals, then that’s fine, he’s doing equally as well. “That’s much more important for him to do that than for him to be scoring lots of goals and us not to be winning. “So as much as individually people may think he’s not doing as well as he did last year, he’s part of a team and helping out the team to be better than they were last year. “It depends what you call a one-season wonder. “If he doesn’t score 40-odd goals this year and that means that he’s a one-season wonder, that’s ridiculous. “Because if he only scores 20 goals which means he hasn’t done as well but will win the league, that’s even better. Salah only had four goals to his name through his opening eight appearances last season and ended the campaign with 44 across all competitions. He could easily hit a purple patch again in 2018-19, with confidence flowing at Anfield on the back of a record-setting start to the season which delivered seven successive wins prior to a Carabao Cup third round defeat to Chelsea. Jurgen Klopp’s side will get the opportunity to avenge the only blot on their copybook to date when they head to Stamford Bridge on Saturday seeking to preserve their faultless record in the Premier League and a standing at the top of the table.